Wear your school colors or athletic shirts, shorts, socks, bows, headbands, ribbons, etc. Wear Santa Hats, reindeer ears, ugly Christmas sweaters, etc. 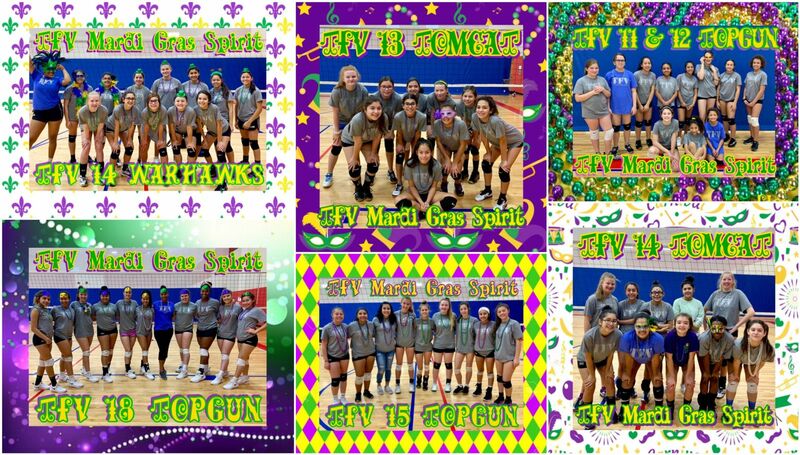 Grab your Mardi Gras attire, wear purple, green and gold, wear your New Orleans hats, beads, mask! 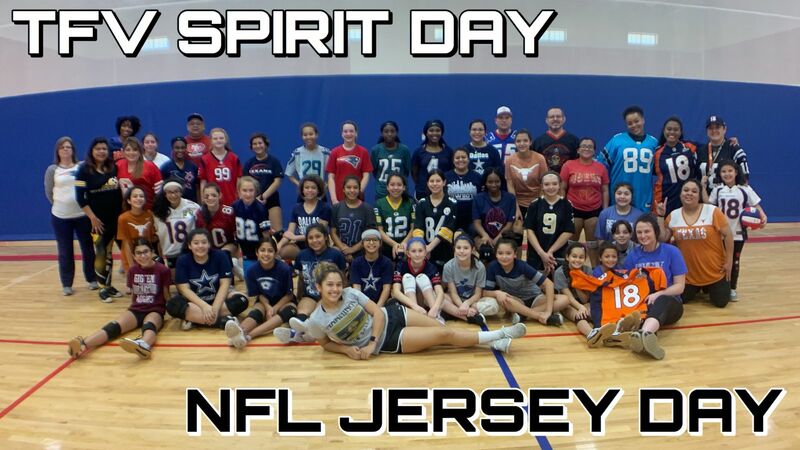 Wear the same outfit or practice attire (shirt, shorts, socks, etc) instead of their TFV practice shirt.